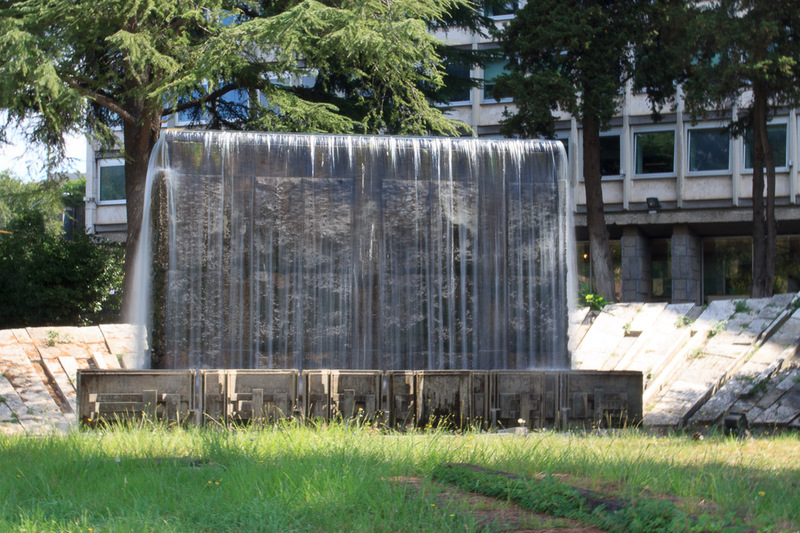 In 1962 Ugo Macri, Giorgio Quaroni, and Americo Romitelli won a competition to plan a new modern fountain that was to be placed inside the green area in front of the ACEA (a water and electricity company) building, located across Viale delle Cave Ardeatine from the Piramide metro station. The water falls from vertical structures decorated in bas-relief into a wide basin below. The fountain is particular fascinating at night when it is artfully illuminated. 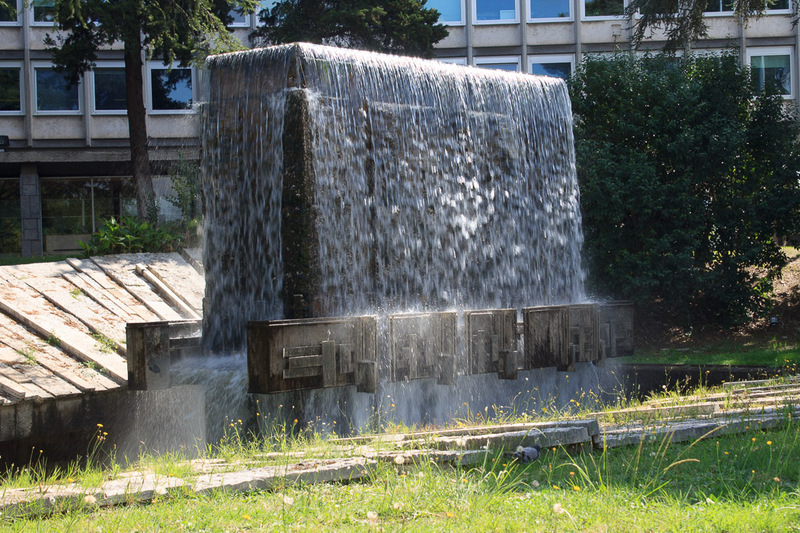 Having been built in 1962, it is one of the most recently constructed fountains in Rome. The ACEA fountain is supplied with water from the Acquedotto Marcio, one of Rome's ancient aqueducts. See all ACEA Fountain photos.